Sony Opens Up Official PlayStation Channel on YouTube. Sony has opened an official page on YouTube, where videos on all things PlayStation will reside. You'll find the latest videos about your favorite PlayStation products direct from Sony Computer Entertainment, as well as consumer generated clips from other PlayStation fans. The slick PS-themed page promises "the latest videos about your favorite PlayStation products" including new game trailers, behind-the-scenes footage, in-game moments, tips and tricks and exclusive sneak peeks". 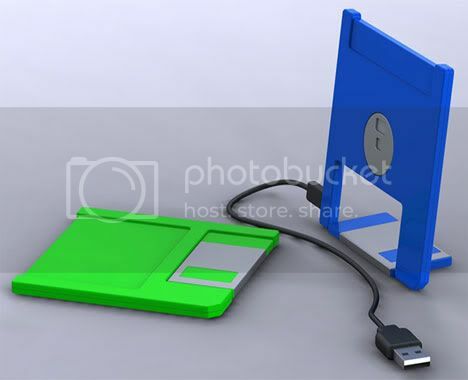 Floopy Disk Turned USB Drive, By Thomas O'Conner. Bringing the 80's back for a reason is Coroflot member Thomas O'Connor: "The design is simple. My intention was to recycle/reuse old, outdated and obsolete 1.44mb floppy discs and reuse the housings to create modern, USB hard drives." 3D Chat World: Lively by Google. Chat and interact with your friends in rooms you design, using an avatar you customize. Experience another dimension of the web with Lively by Google. Google Lively is a web-based virtual environment produced by Google Inc. currently in its beta stage. On the opening download page, users are invited to "Create an avatar and chat with" their "friends in rooms you design." Lively is currently only supported on Internet Explorer or Mozilla Firefox, using Windows XP or Windows Vista. It requires a special download as well as Flash. The program is designed to be integrated with the current Web and provide a new way to access information. This is enabled through the embedding of Lively 'rooms' into any HTML webpage- which means content can be provided in a two dimensional format, and communication surrounding the topic of that content can be made in the three dimensional 'room' without the need to enter a separate program. According to Google, a Mac OS X and Linux version are on the way as well.